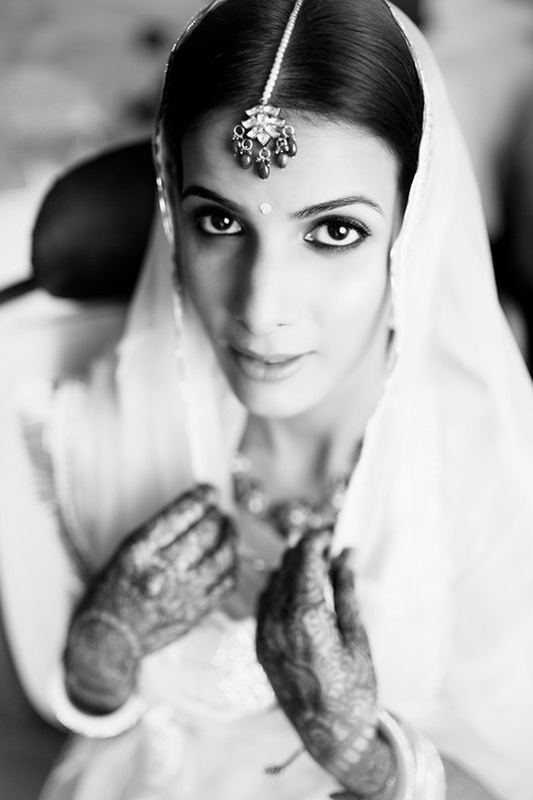 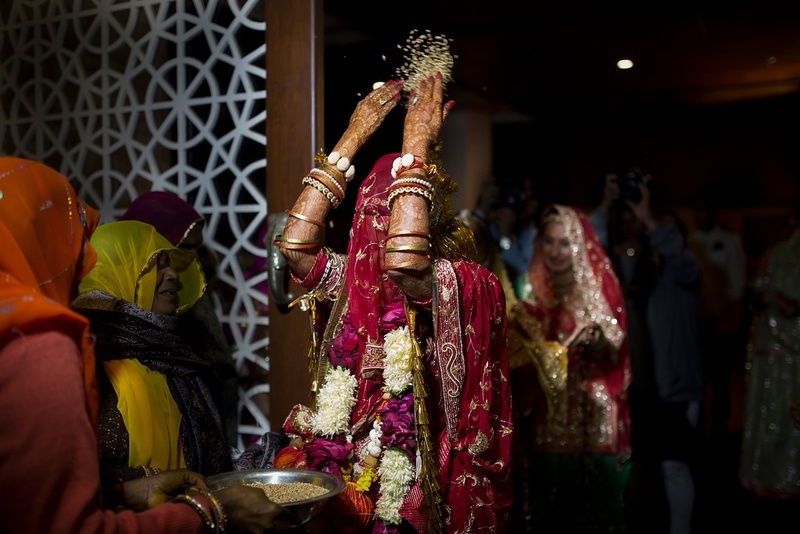 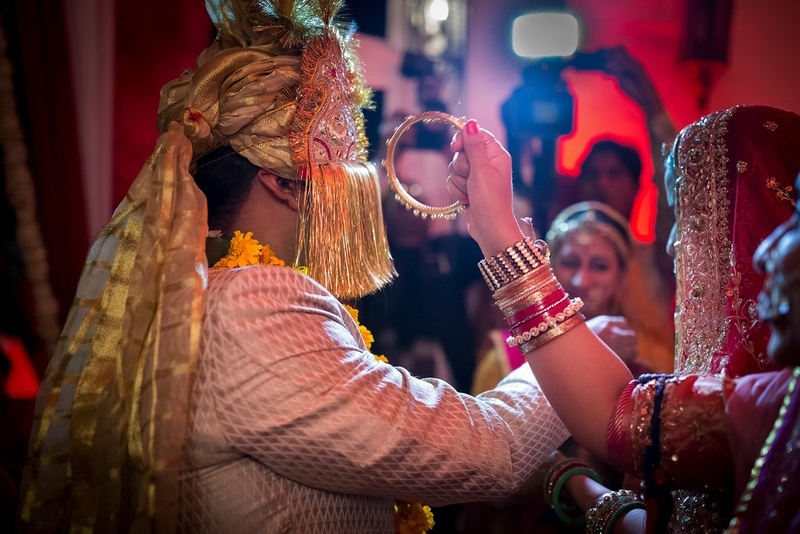 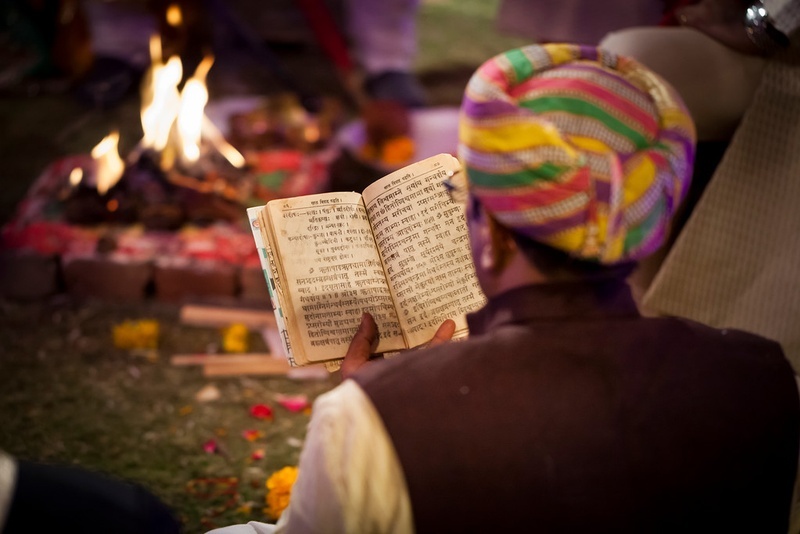 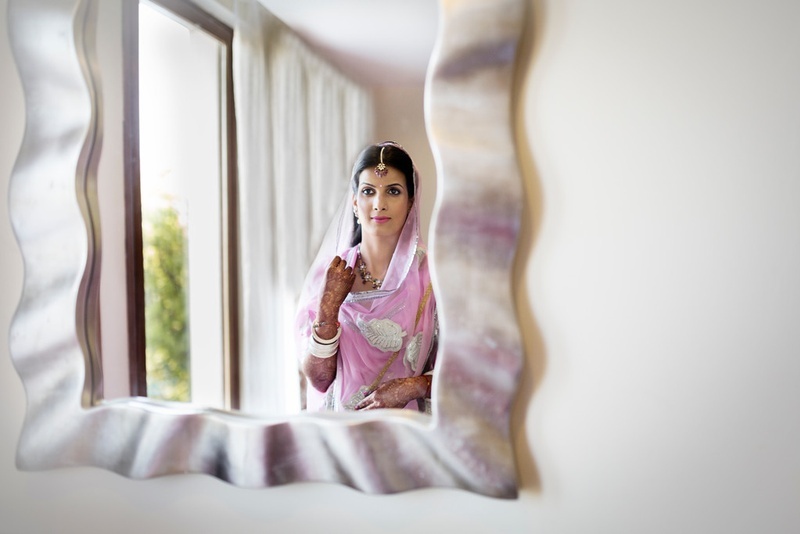 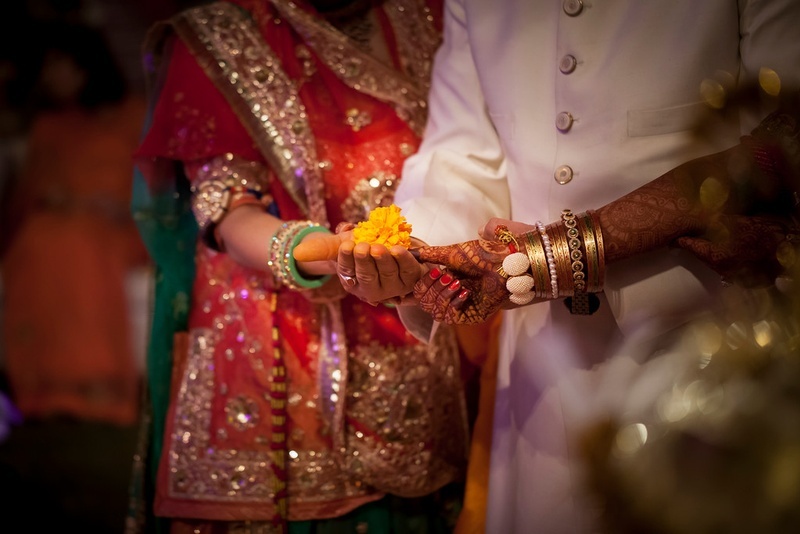 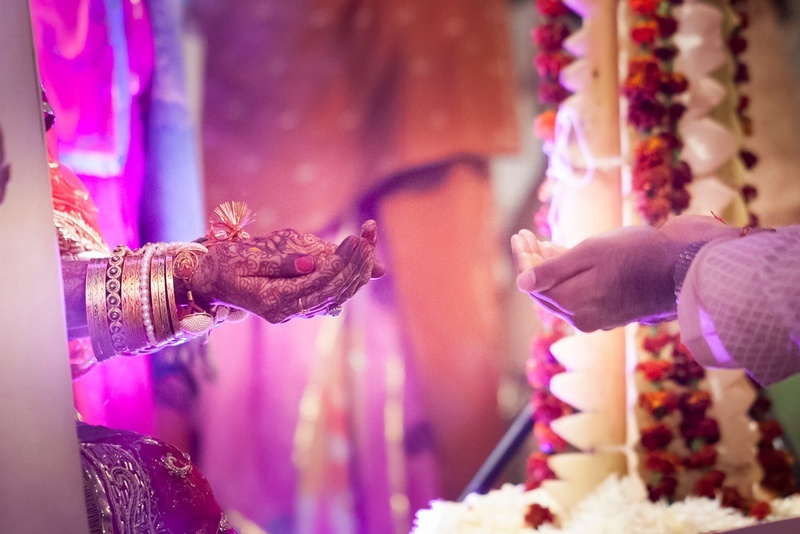 Sahil and Kritika’s marriage was one such event that you don’t get to witness quite often. 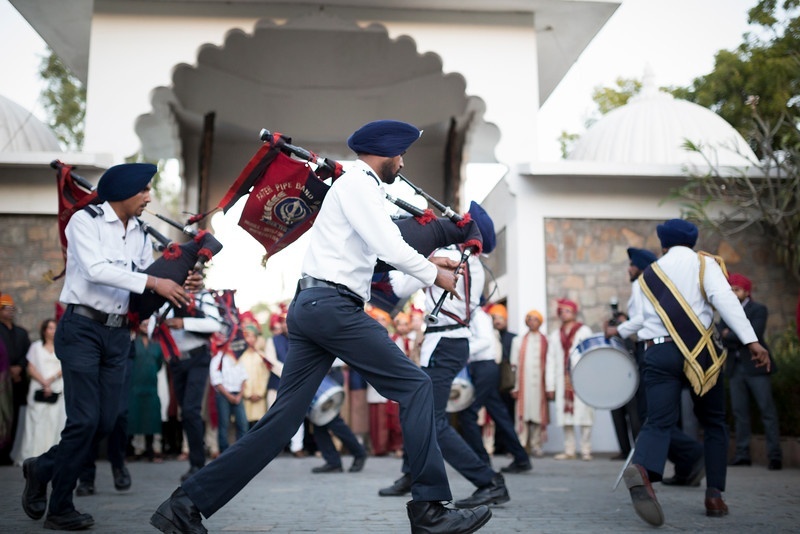 Instead of a band-baja, a group of bagpipers dressed in a common uniform melodically welcomes you to this remarkable naval themed wedding ceremony. 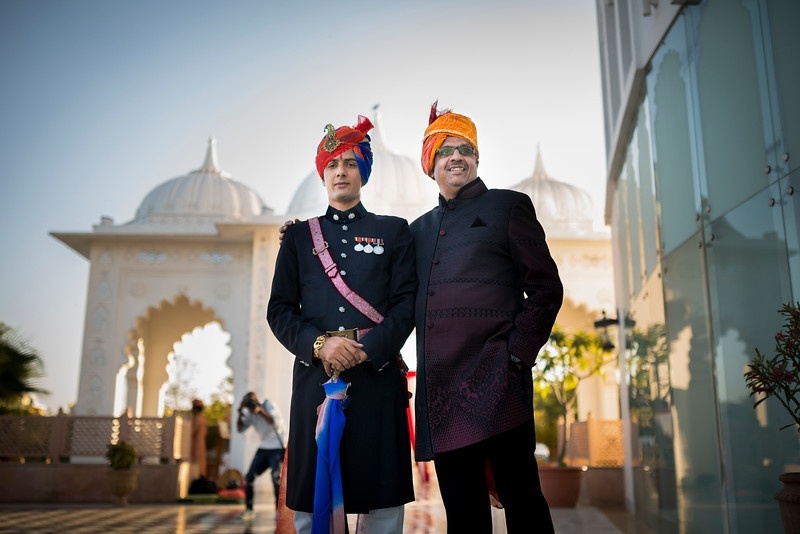 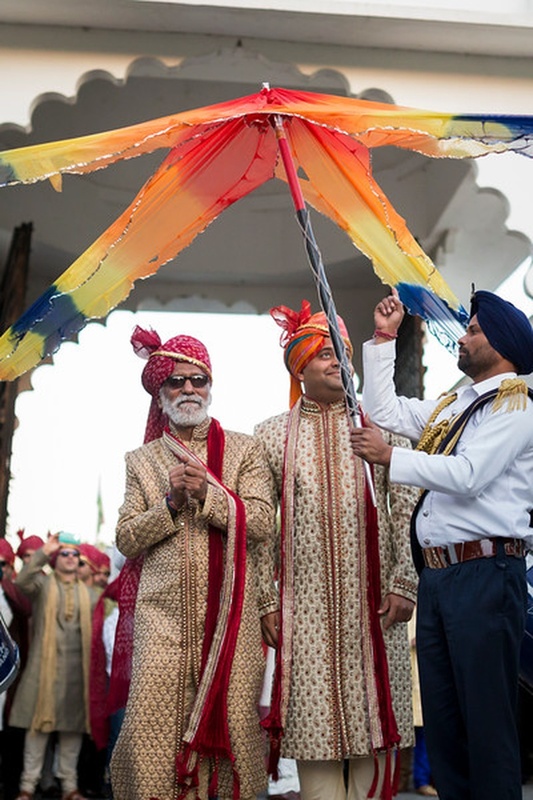 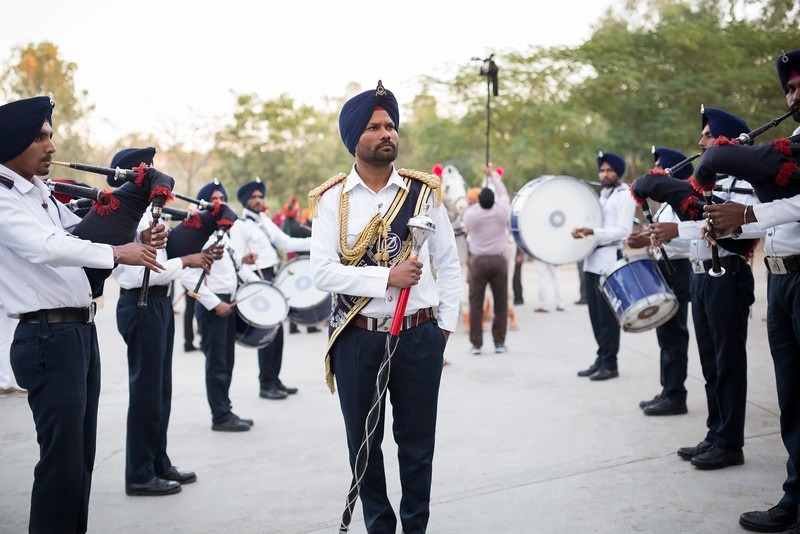 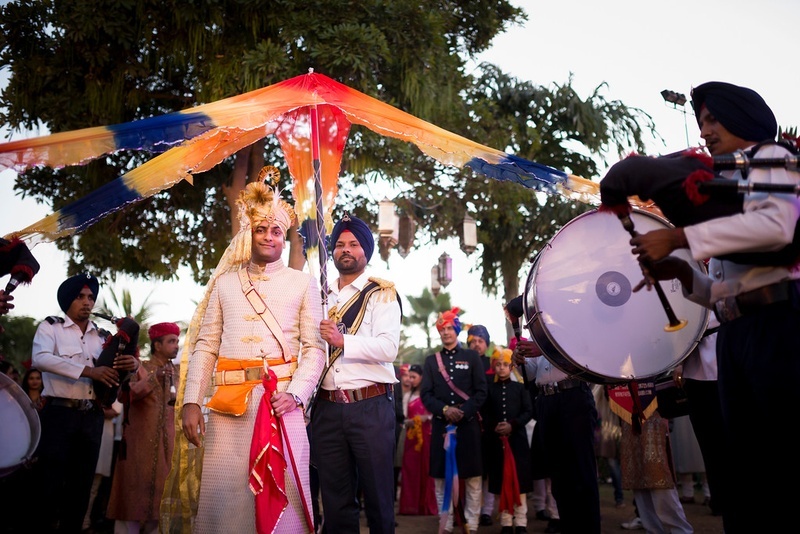 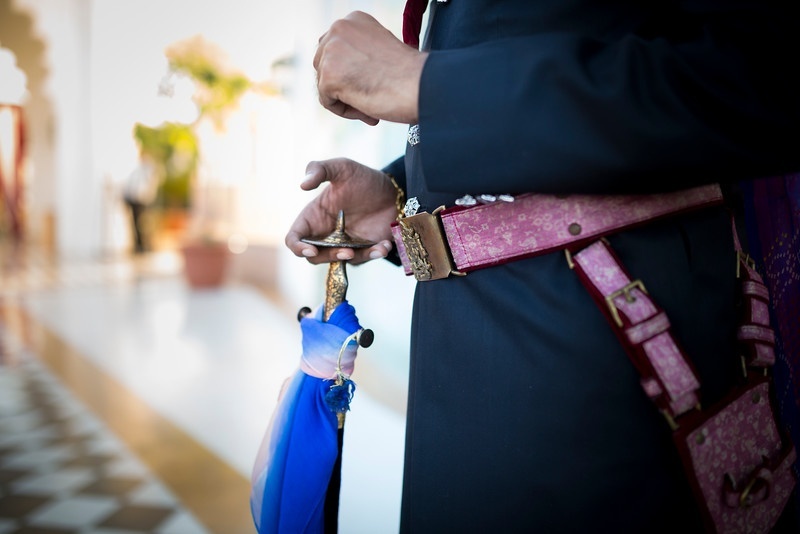 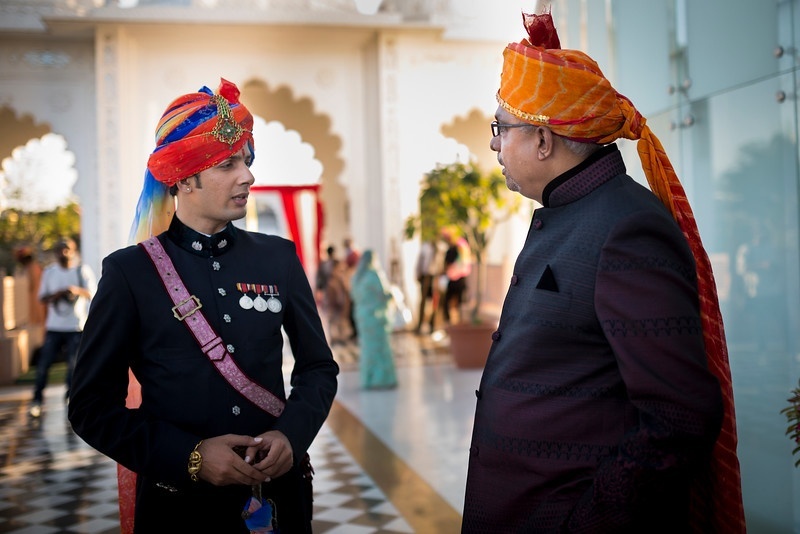 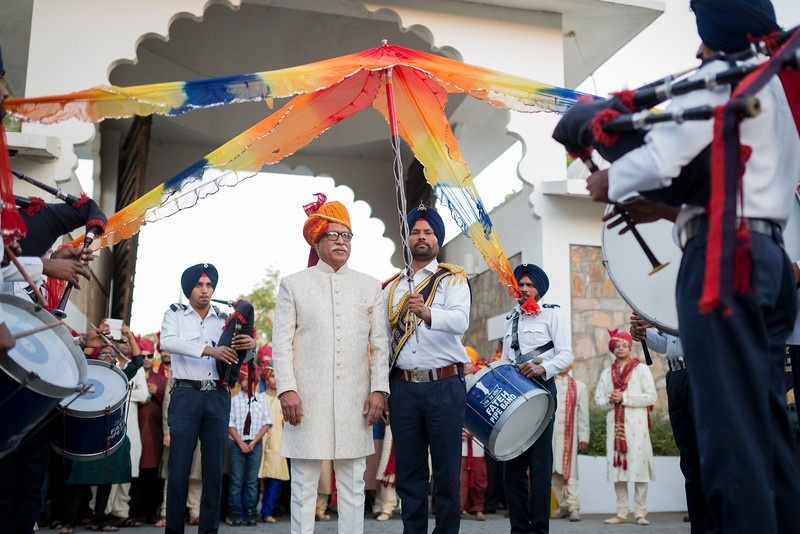 Tall gentlemen neatly dressed in a naval uniform, quirky kite-like canopies, sound of bagpipers in unison and a regal arrival of the groom to the wedding venue. 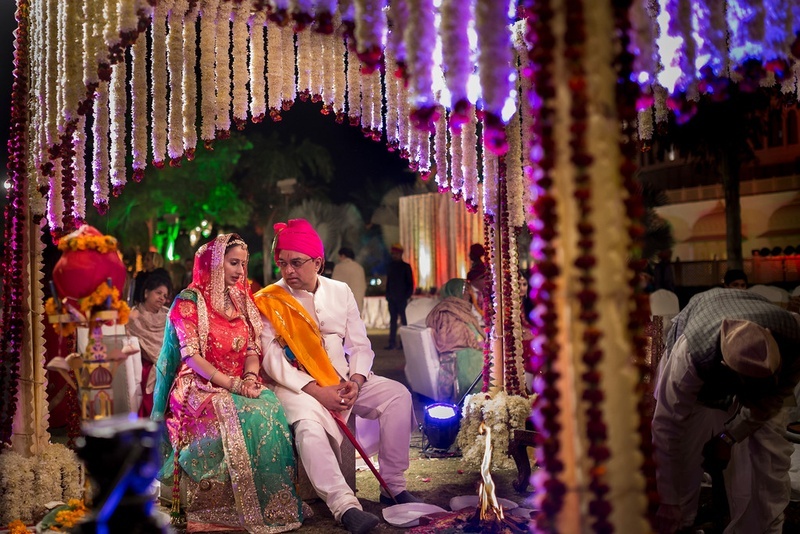 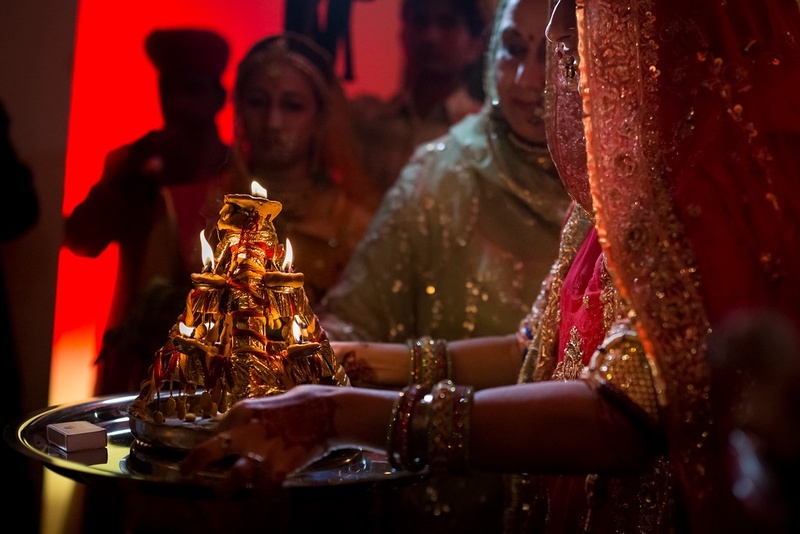 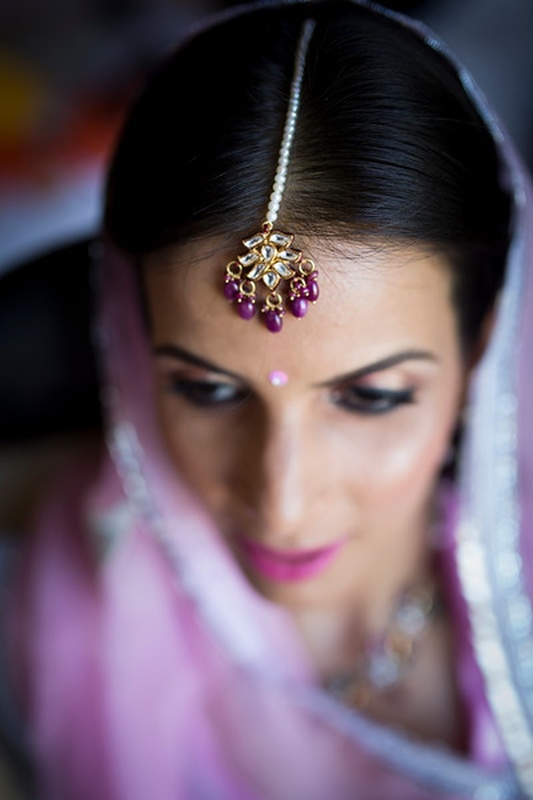 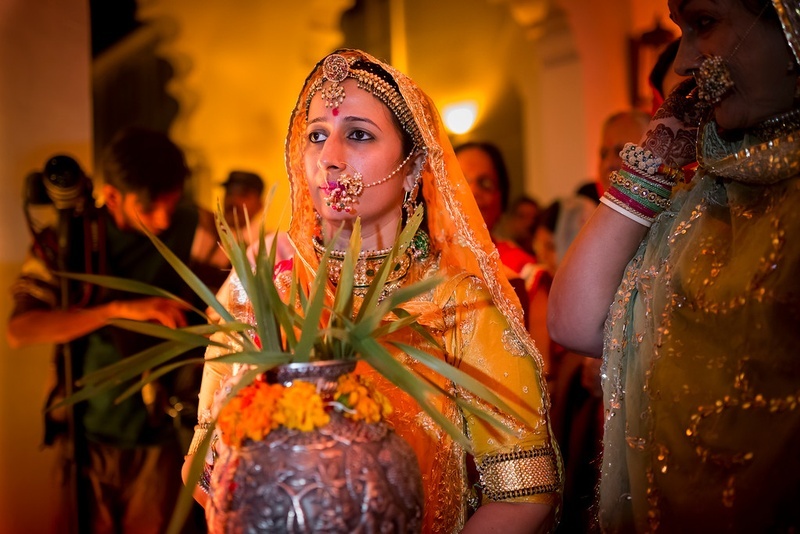 Every element that unfolded at this wedding provides a different experience. 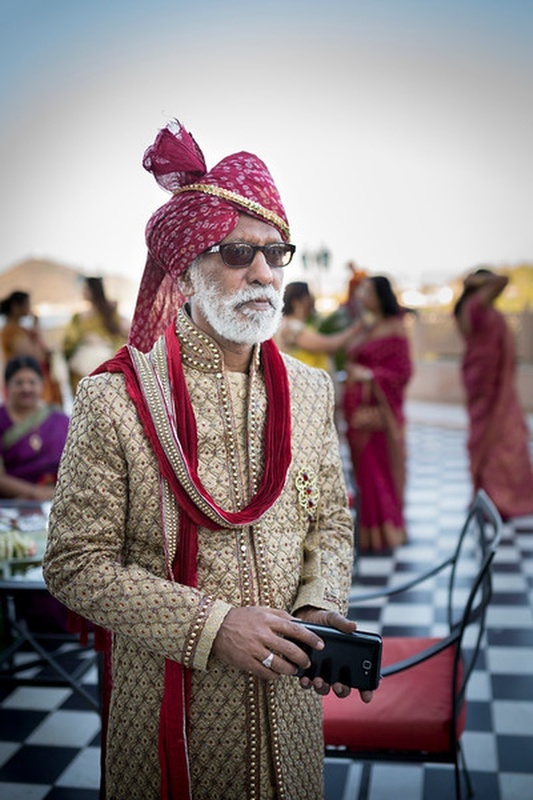 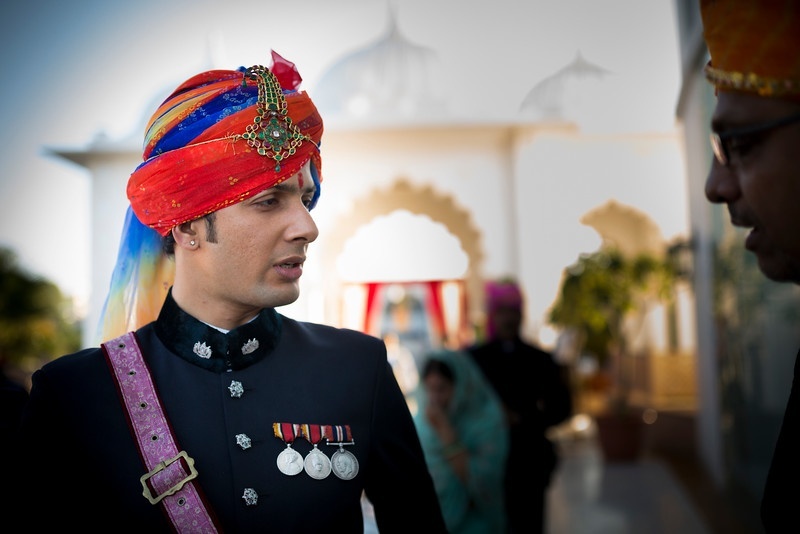 Sahil’s entire wedding ensemble was something that has never been seen before at Indian weddings. 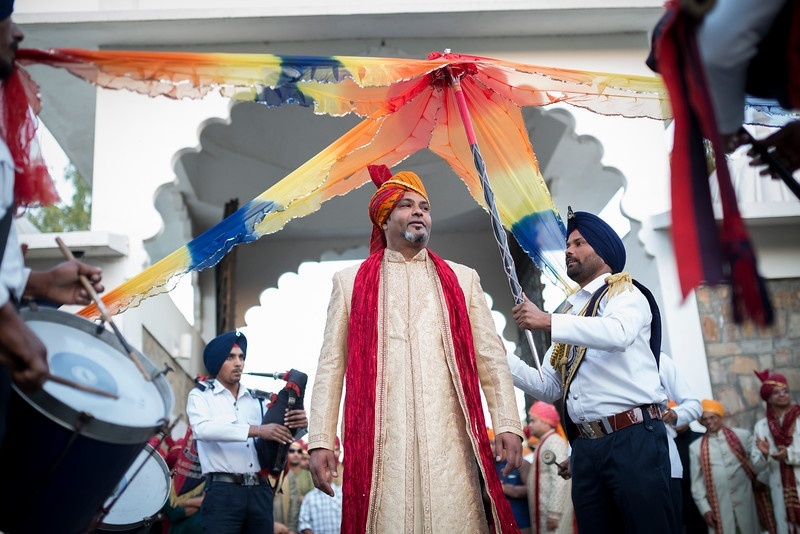 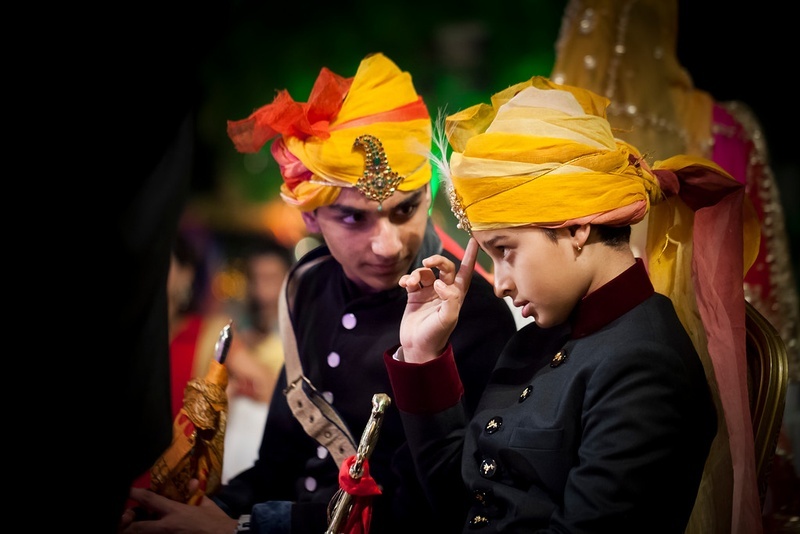 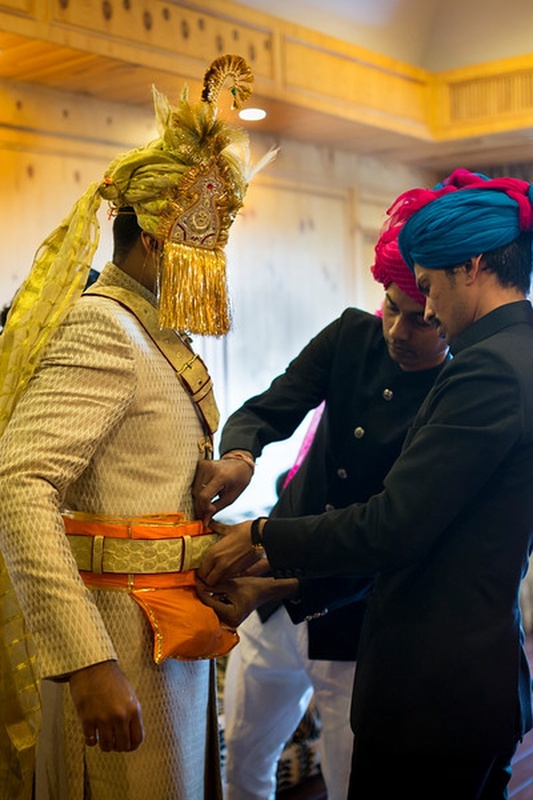 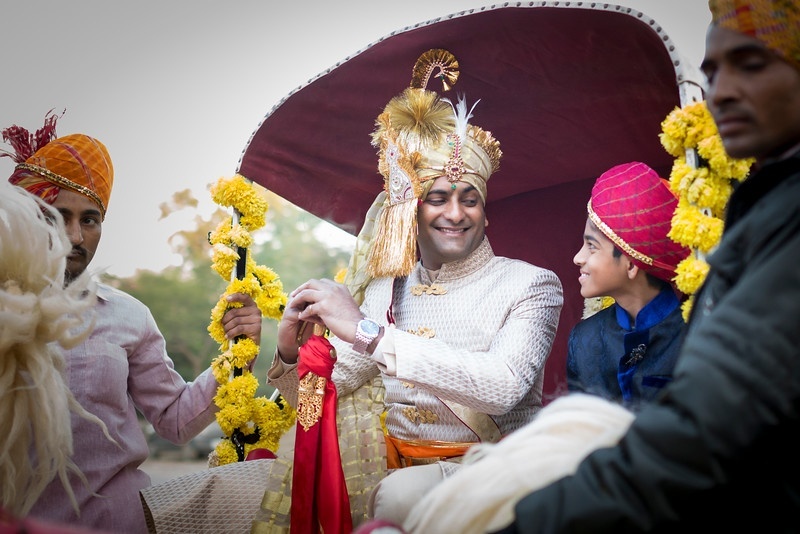 The cream wedding outfit had a traditional yet naval appeal to it - was accessorized with a royal turban, an orange waist belt and a sword covered with a red cloth, that the groom held with immense pride in his left hand. 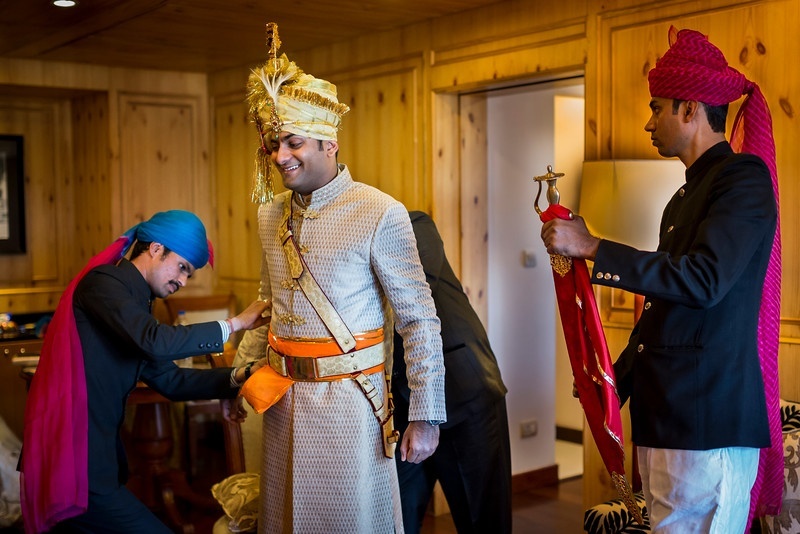 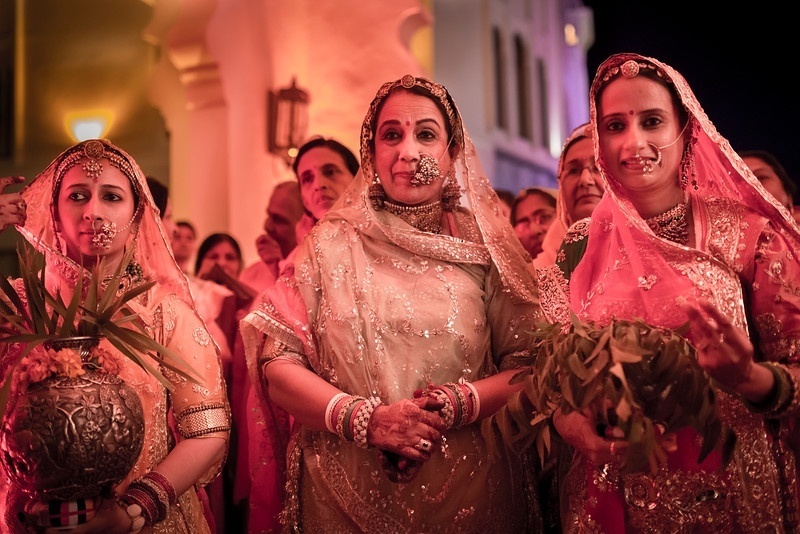 The ladkiwalas greeted the groom with great enthusiasm.